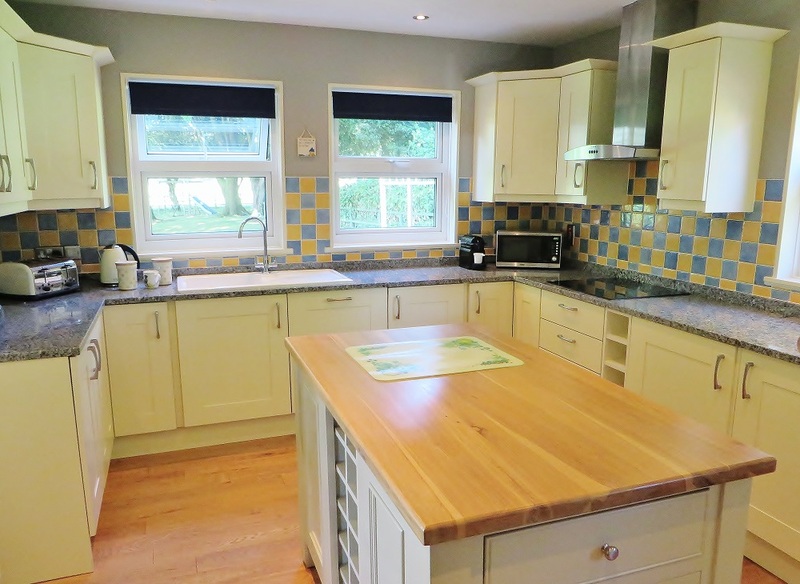 This particular project was primarily a kitchen repaint commission in the lovely village of Goldsborough, nr. York. 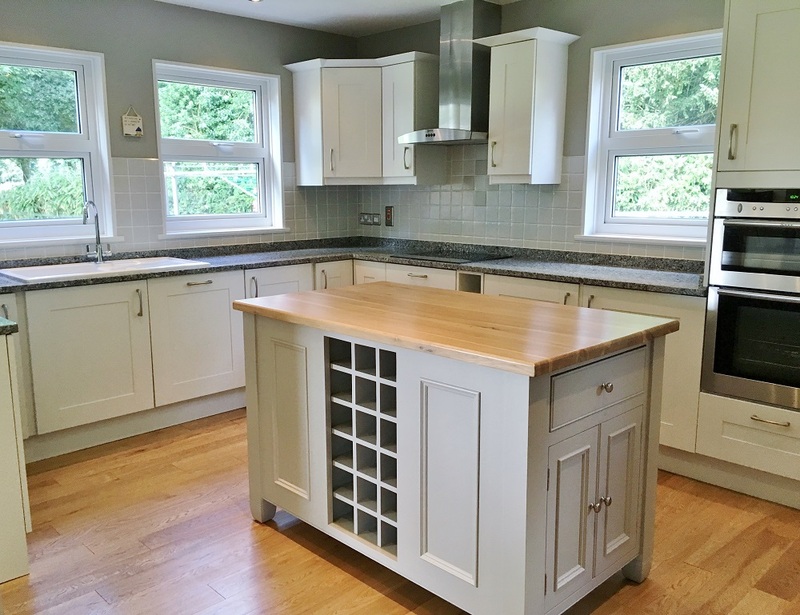 The clients contacted me wanting to update the look of their kitchen by repainting the kitchen units in a more contemporary colour. 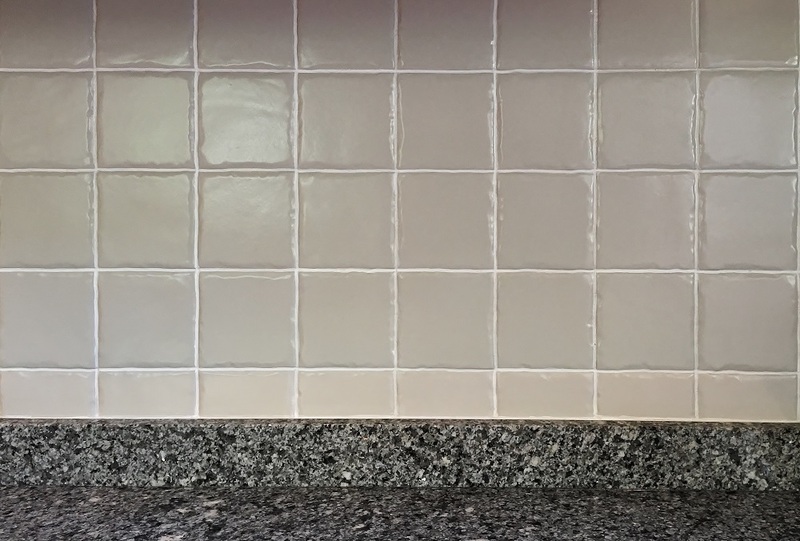 Over the years I have written various pieces about repainting kitchens – the do’s, the don’ts, the stages, the materials, so for this Blog I thought I’d concentrate on the other major part of the project, hand painting the tiles. 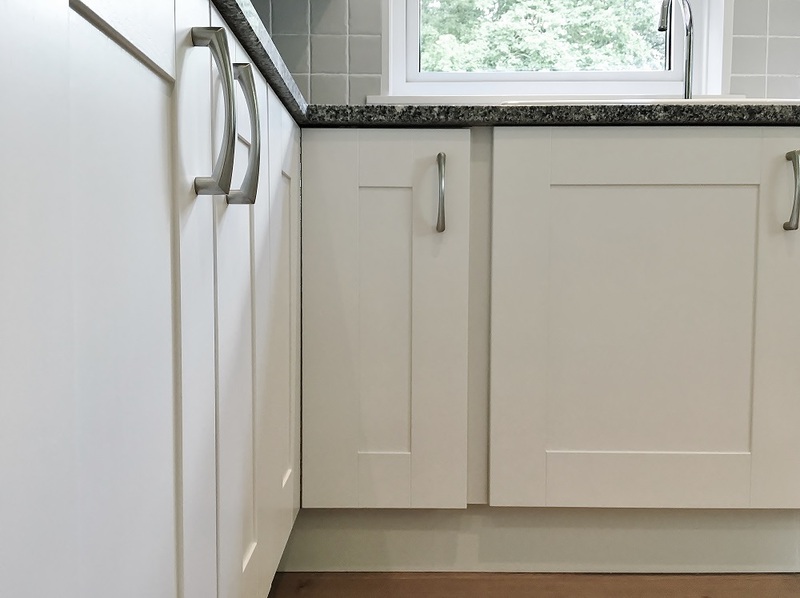 During the initial consultation we looked at new colour options for both the kitchen units and the walls and also discussed their plans for the tiles. As you can see from the picture above, the boldly coloured checker board style of the current tiles was adding to the somewhat dated look. 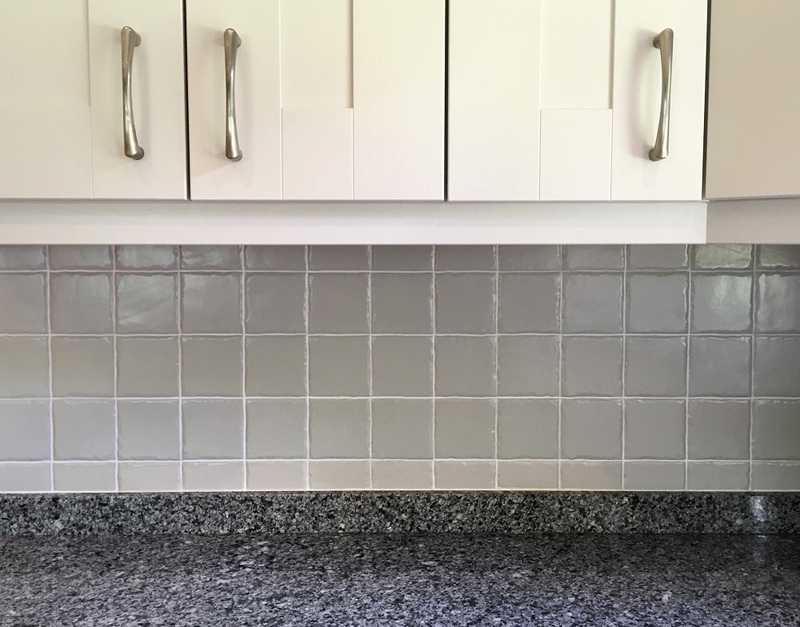 Their plans were to replace these tiles with something more modern and neutral, though they mentioned they weren’t keen on all the mess and the potential damage this might bring. They couldn’t however see an alternative, until I mentioned painting them…. Like many people their primary source of seeing hand painted tiles has been in public areas and pub loos, most of which are peeling off and have brush strokes a plenty. There were therefore naturally a bit sceptical that a) it would look good and b) it would be durable. 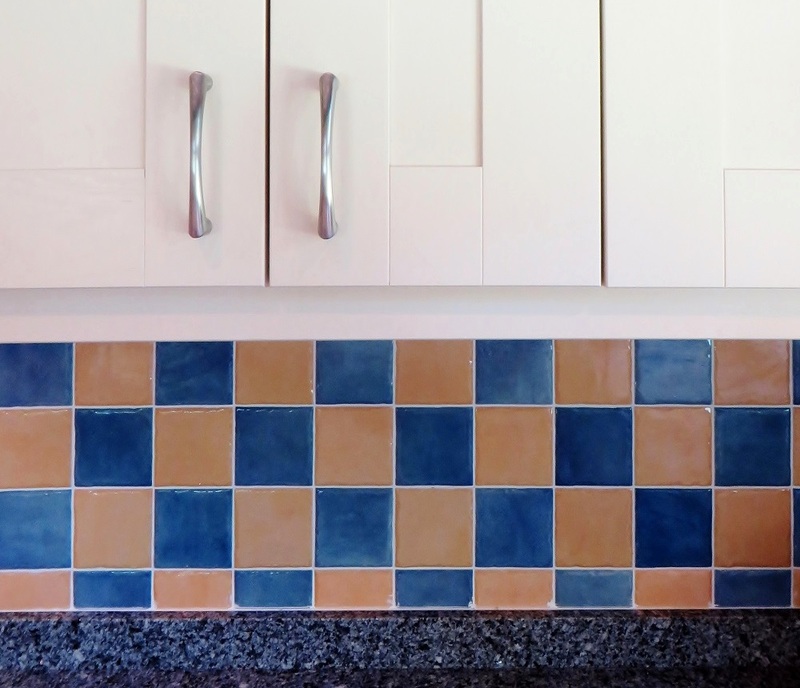 I explained that will a bit of time, some painty skills and the right prep and products their tiles would not only look amazing but also be super durable, well up to the rigors of a kitchens everyday use. Like any good painting job the key is in the preparation and the application, below is a list of the stages I used to achieve the silky smooth and durable look you can see in the pics below. (2) Lightly sand with 180 grit sanding pads. (3) Apply a coat of Zinsser B-I-N primer, wait till dry and sand smooth. (4) Apply a coat of Tikurilla Otex Primer and ‘lay off’ with a soft brush. Once dry lightly sand with 320 grit. (5) Apply two coats of Tikurilla Empire top coat paint and ‘lay off’ with a soft brush. Lightly sand between coats. (6) Re-establish grout lines with a grout pen. (7) Apply 2 coats of Osmo Polyx Oil Varnish (Satin) with 2 different types of roller.